The Young and the Restless spoilers are thrilled to announce that brilliant Y&R star Michael Muhney lands a sweet acting job in a prime time TV drama series! 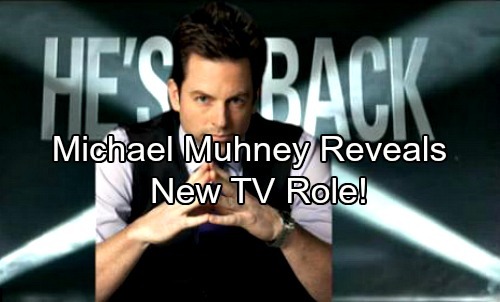 Reports were rampant about Muhney’s secret role new TV role but now the great news is out of the bag. The Y&R fan favorite who portrayed Adam Newman (and hopefully will soon again) will be gracing the screen on a prime time medical drama series called The Good Doctor – developed by David Shore and Daniel Dae Kim. 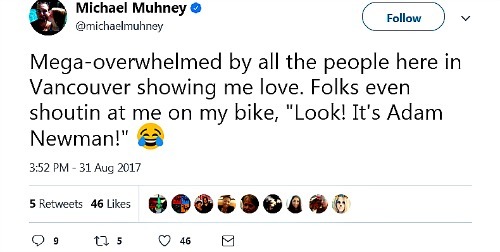 Micahel Muhney is very excited about his new gig in Vancouver Canada tweeting “Pssst…C ya, I’m on my way And I’m bringing my bike for some good rides when I’ve got a little spare time up there.” Muhney has not been seen onscreen much since his abrupt Y&R departure in December 2013 so this new Drama will be a treat for Muhney fans and hopefully remind TPTB at The Young and the Restless the great talent they are missing. The inspiration for the series is based on a 2013 South Korean series by the same name and stars Freddie Highmore of Bates Motel fame. Highmore plays a young surgeon named Shaun Murphy who was diagnosed with Autism and Savant Syndrome and is brought on board to treat patients in the Pediatric Surgical Unit of a very prestigious Hospital. The interesting plot line revolves around whether Shaun, who allegedly does not have the ability to relate well to people due to his conditions, will be able to save lives – breaking stereotypes of people with Autism and Savant Syndrome. Still, no word on which character Muhney will be playing whether it is a guest role or a permanent gig. One thing is for sure, it is probably very different than the role he owned on the popular daytime soap The Young and The Restless as the love to hate villain Adam Newman. Muhney is currently taping The Good Doctor in Vancouver and posting fun pics on his Twitter. Scoring this series for Muhney does not mean he won’t retun to CBS’s Y&R – as many actors/actresses balance two or more gigs at the same time – so don’t lose hope die hard Y&R Adam Newman fans! Check out the trailer for The Good Doctor below and tune in to support our beloved Michael Muhney! The Good Doctor will air on ABC on September 25, 2017, at 10/9c. Come back to CDL for all of your Michael Muhney news and updates as well as everything related to The Young and the Restless!